News Agency of Nigeria (NAN) recalls that the Nigeria Customs Service on July 26 intercepted three consignments containing 140 species of snakes and 660 other animals in Calabar, Cross River State. 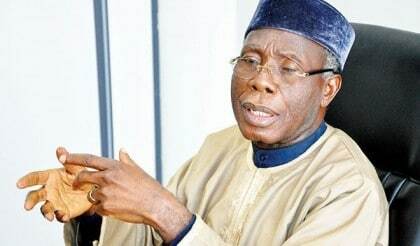 The Minister of Agriculture and Rural Development, Chief Audu Ogbeh, told newsmen in Abuja on Friday that the Nigerian Agricultural Quarantine Service (NAQS) had been directed to commence the investigation immediately. Ogbeh reiterated the need for officials of the NAQS to be stationed at the country’s ports to enable them to address such issues before they escalated. “It is very important to know the tendencies of saying that the quarantine service should not be kept away from the ports. “It is a threat and a danger because the other day, somebody attempted to smuggle kolanuts to Saudi Arabia. “The Saudis have told us not to bring kolanuts into their country. “The Quarantine Service had to go into the aircraft and stop the plane from leaving; it then brought the kolanuts down and now, it is snakes. “Our ambition is to become a major agricultural nation, if the quality of what we take out and that of the materials coming in are not known to us, anything can happen. “The dangers include biological warfare, which can be launched against our agriculture industry. “These are reasons why the quarantine service must be allowed to play its roles without necessarily disrupting the ports’ routine functions,’’ Ogbeh said. NAN reports the containers were brought in aboard a Cameroonian vessel, ‘MV Flesh’, through the Calabar waterway.